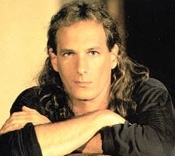 We're pretty sure that singer Michael Bolton is a soulless no-talent whose success is attributable to a pact with the devil himself. But we are damn sure about one thing: the "entertainer" is very particular about his soft drinks and dry cleaning. Submitted by EssieBea on Sat, 2010-12-11 03:19.